Location: Le Plessis-Macé, in the Maine-et-Loire departement of France (Pays de la Loire Region). Notes: The Château du Plessis-Mace is a medieval building from the Middle Ages and rebuilt in the early Renaissance. 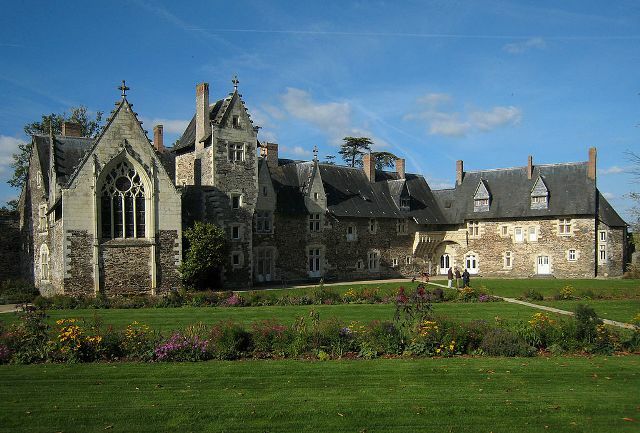 This castle is located in the town of Plessis-Mace, about ten kilometers north of Angers. The Château du Plessis-Mace is the subject of a classification as historical monuments since 14 May 1962 and the site is ranked 24 February 1987.